In anatomy, the genitourinary system or urogenital system is the organ system of the reproductive organs and the urinary system. These are grouped together because of their proximity to each other, their common embryological origin and the use of common pathways, like the male urethra. Also, because of their proximity, the systems are sometimes imaged together. If the urinary tract isn't functioning properly, toxins can accumulate and allow infections to spring up. 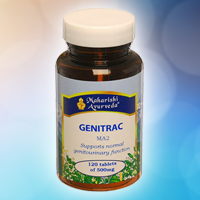 Genitrac supports the entire genitourinary tract and digestion, assimilation and metabolism. Because Genitrac helps move vital nutrients quickly to cells and organs, it also helps nourish the body's tissues -- reproductive tissue, nutrient plasma, blood cells, muscle and fat tissue. Large Caltrops is especially supportive to the genitourinary tract by focusing the benefits of the other herbs on it. Amla enhances all the thirteen agnis (digestive fires) and supports the natural diuretic function (Apana Vata), but does not force water from the body like diuretic pills. 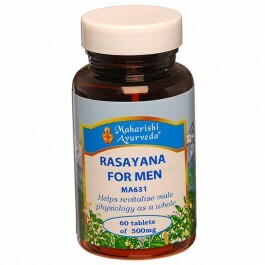 In other words, it helps eliminate waste from the body but does not overstimulate the urinary system. 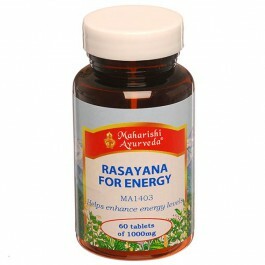 Supports normal function of the genito-urinary system and energy levels. 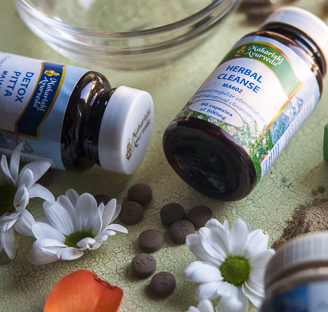 If the urinary tract isn't functioning properly, toxins can accumulate and allow infections to spring up. 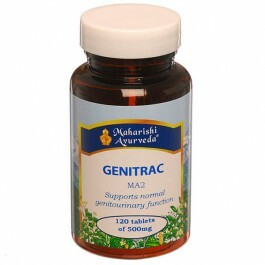 Genitrac supports the entire genitourinary tract and digestion, assimilation and metabolism. Because Genitrac helps move vital nutrients quickly to cells and organs, it also helps nourish the body's tissues - reproductive tissue, nutrient plasma, blood cells, muscle and fat tissue. 120 tablets 60g, 60-30 days supply.